Cubans and the structure of their society are very open. As I waited for the bus, I saw a barber and his client through the bars of his shop. 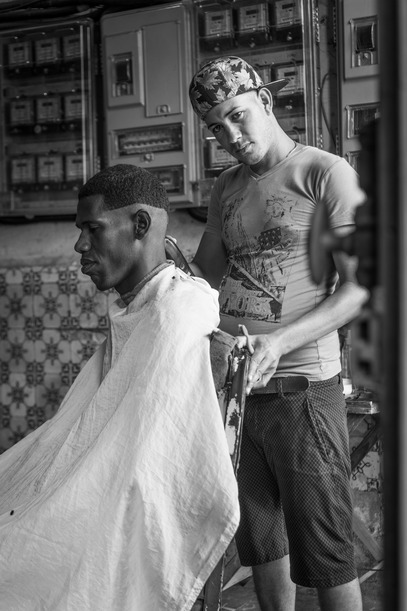 The shop was one room with a chair and materials stacked behind the barber, open for all to see from the street. He saw me glancing over curiously and invited me to come inside. There was a sense of pride and confidence in his expression. 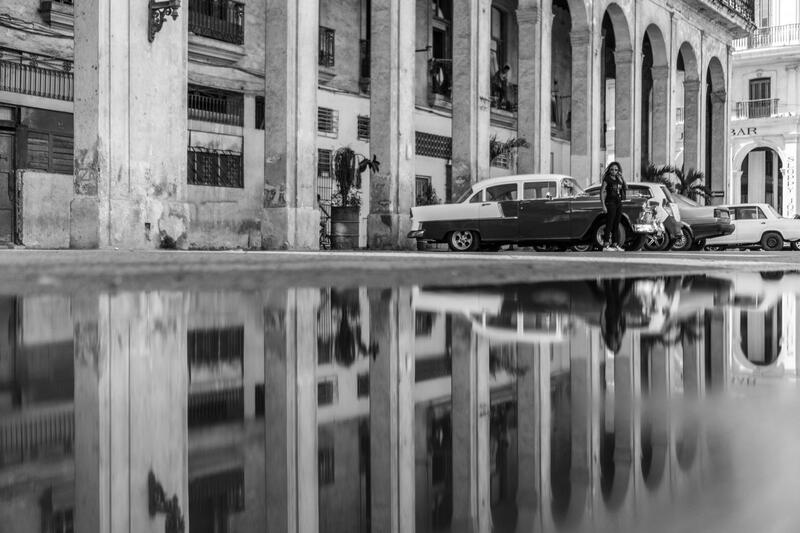 "La habana a traves de mis ojos", "Havana through my eyes", documents the magic in ordinary moments throughout the capital and surrounding areas in Cuba. The images capture scenes that embody the personalities and movements of the young to old during work and play. Each image evokes its own emotion: light, comical, anxious, serious, calm, and more. Cuba has a way of pulling you in with its boldness and charm. 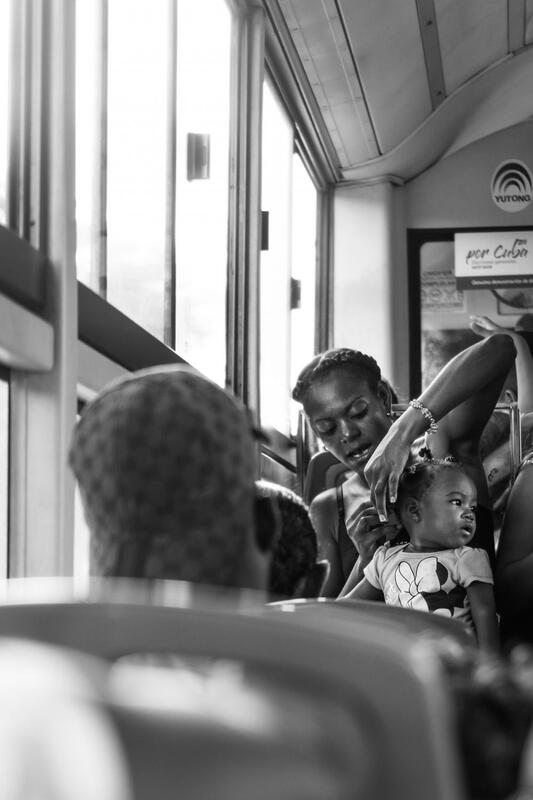 A mother fixes her young daughter's hair on the bus, talking to her to maintain her child's stillness. 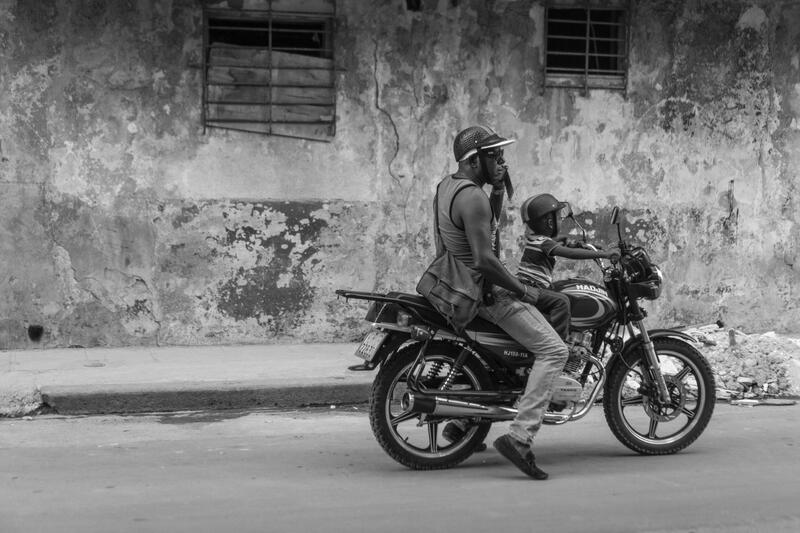 A young boy pretends to ride the still motorcycle while his father speaks on his cell phone. Fathers with their children were not an uncommon site throughout the city as well as an increase of cell phones and other technology. 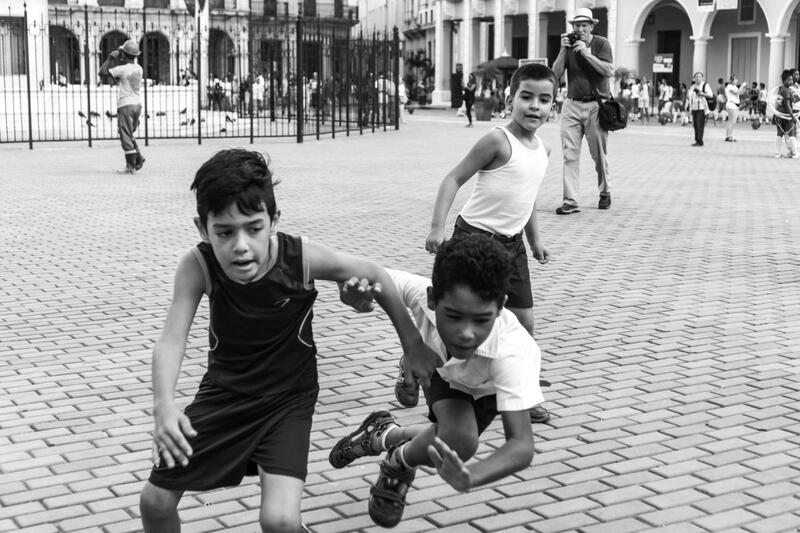 During school breaks, children play in the plaza in which tourists often visit. While the three boys chase one another and an unseen ball, a man observes and photographs in the distance. After pouring rain, many city spaces bring to life another world reflected in water, emphasized by the grand architecture of the past. 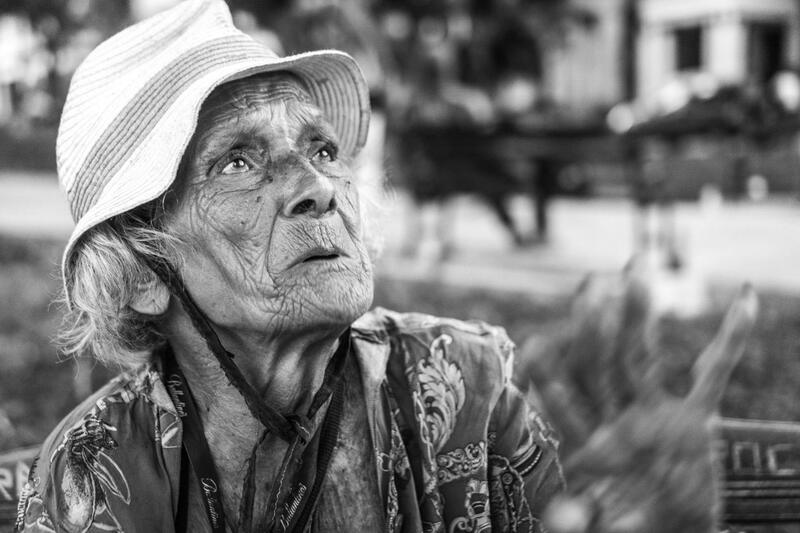 The events of la revolucion has not been forgotten by the elderly in Cuba. This woman expresses her fear as she shares her memories of past times. 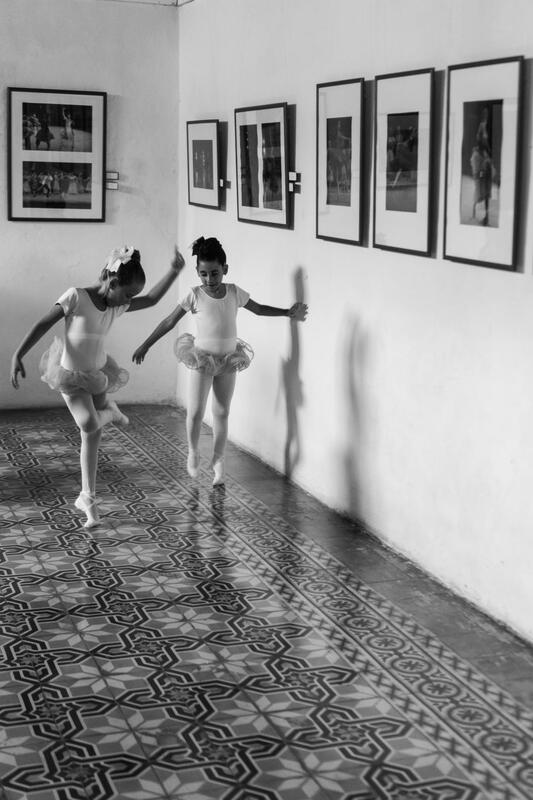 Two young ballerinas wander the gallery of ballet photography before their dance recital. 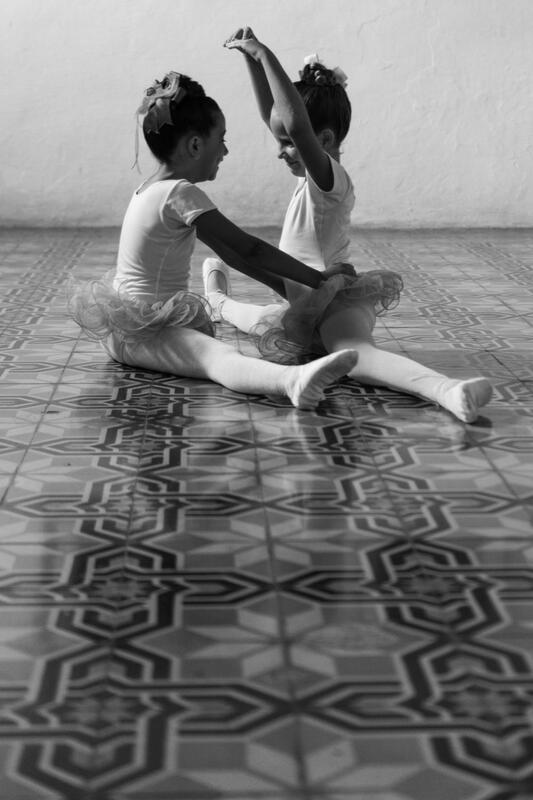 These young ballerinas playfully help each other warm up prior to their performance. 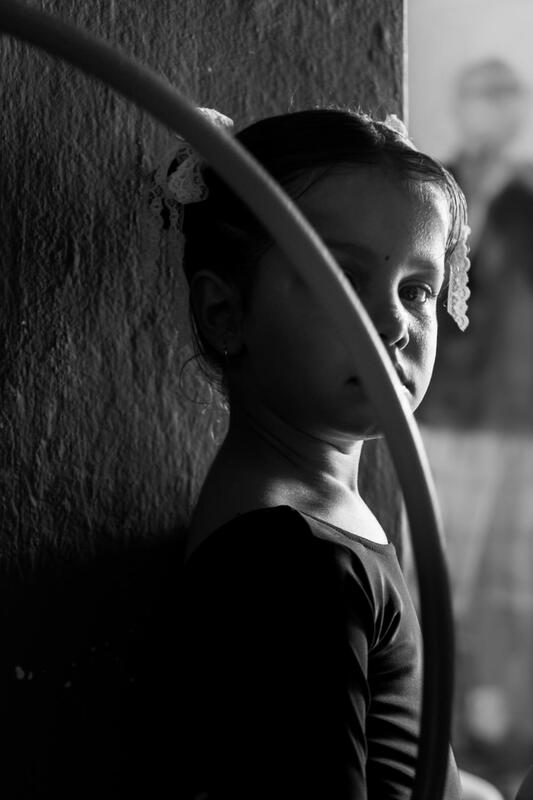 A young ballerina anticipates her performance. 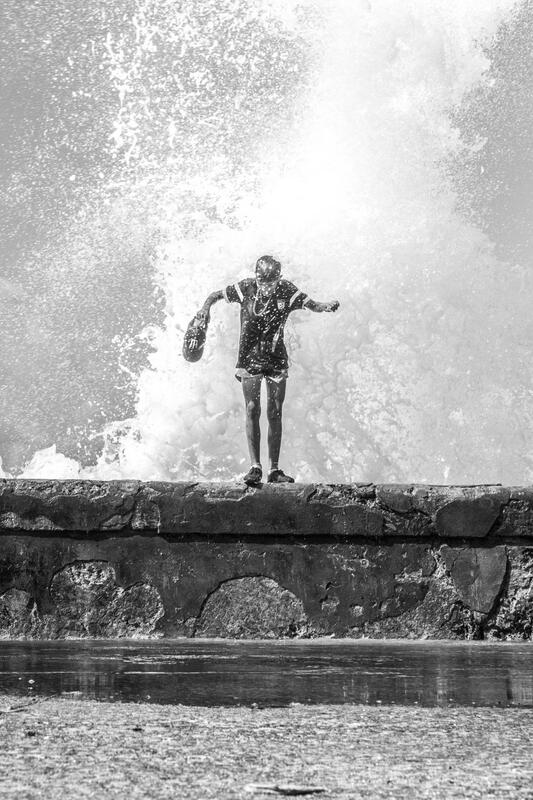 Massive waves crash against the walls of el Malecon, creating a water park to break up the midday heat. Carlos takes a break from working at the family repair shop. I never learned his real name, but his friends call him "Lagartija" (Lizard) from the way he sticks his tongue through his teeth. 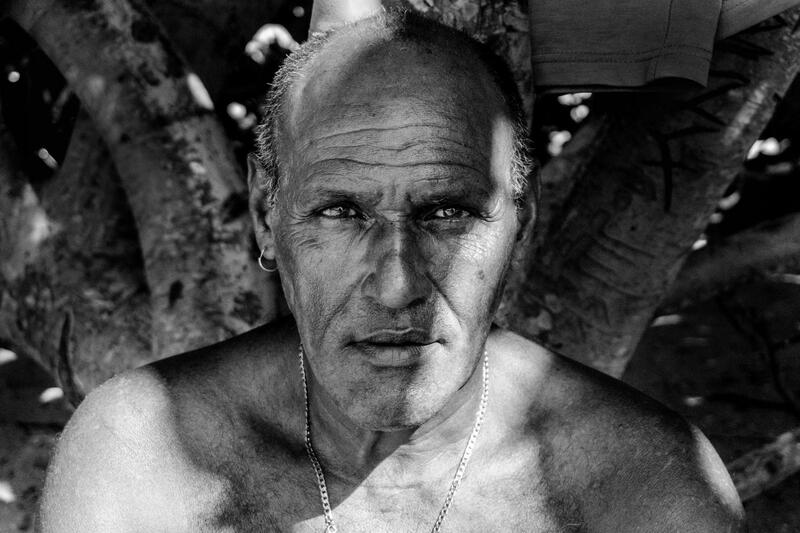 Instead of his name, I got his steely gaze on the beach outside Trinidad, Cuba.